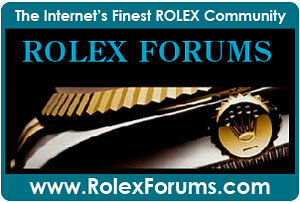 Jake’s Rolex World Magazine is the recognized publication leader on planet-earth for Everything Rolex. 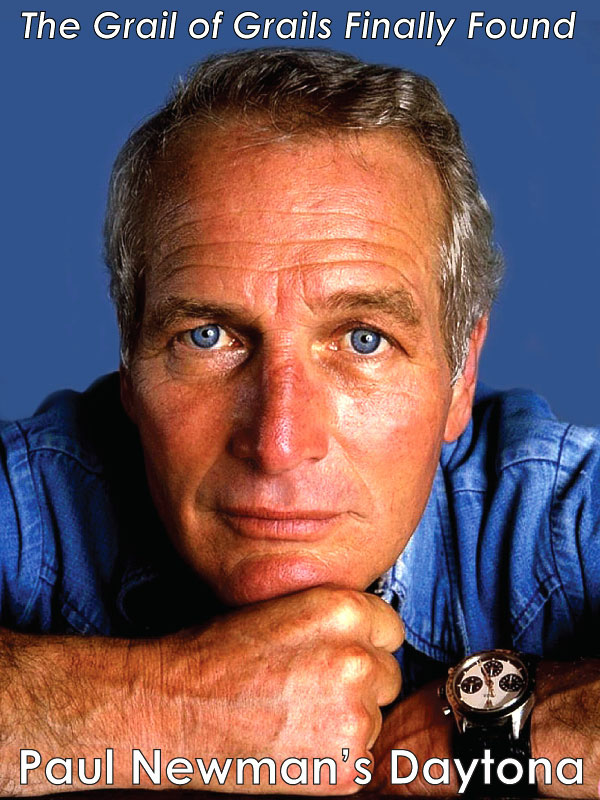 Jake’s Rolex World Magazine goes far beyond any book, magazine or website by offering superb watch entertainment, fascinating insight, and exciting in-depth factual history to a broad international audience. 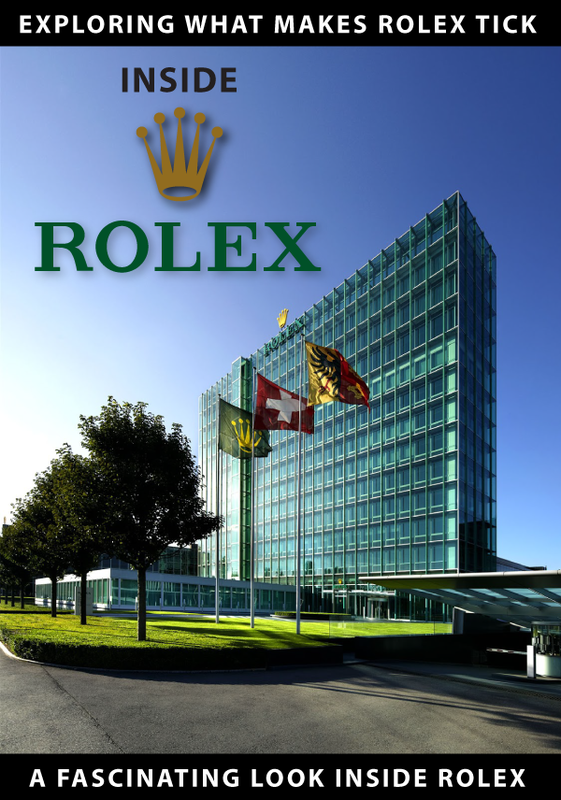 Rolex enthusiasts and horological experts have a deep trust and respect for Jake’s Rolex World Magazine and have referred to it independently as “The Bible Of Rolex”, and “The Encyclopedia of Rolex" or "Rolexpedia”, as well as, "The Wikipedia of Watch History." 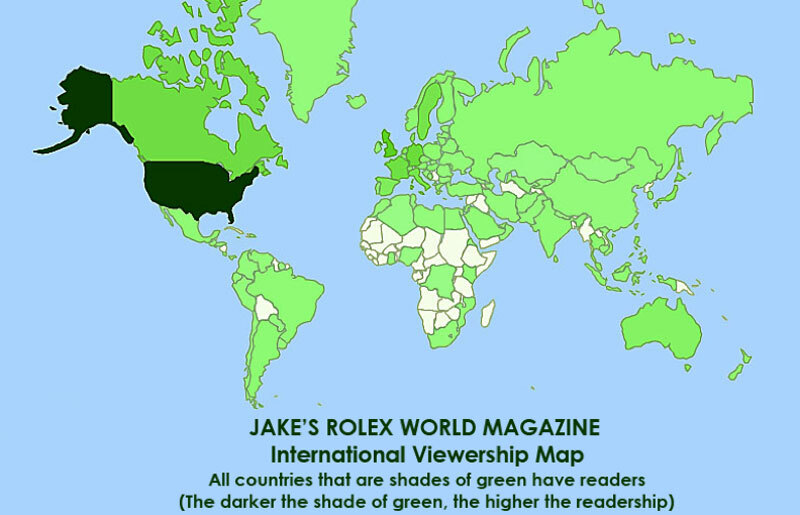 Jake’s Rolex World Magazine currently serves up more than 25 Million story views per year, to an international readership in 147 countries. The library contains more than 3500 cross-referenced articles and posts and over 27,000 high-resolution images in its Rolex Research Library. All of this rich-content is indexed in all online search engines. Since it's inception in early 2008, Jake's Rolex World has served up more than 225 Million story views, which showcased more than a billion images! 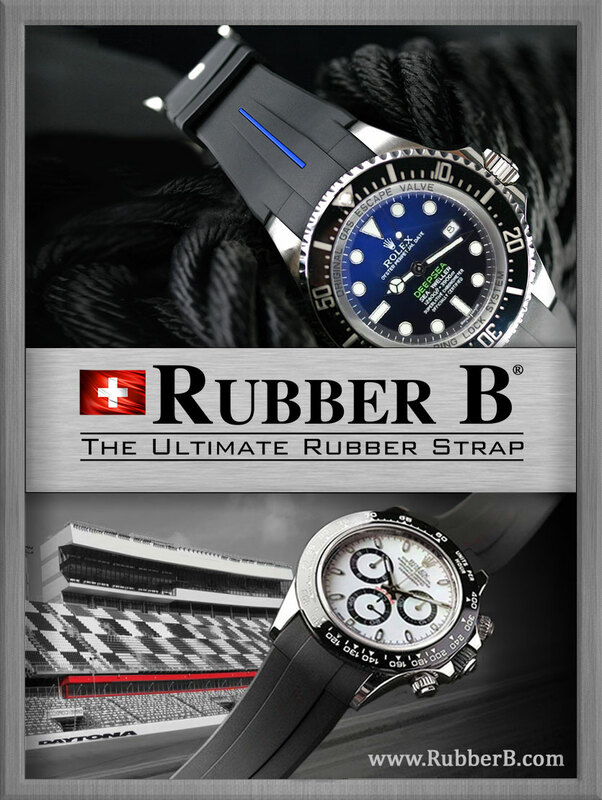 Advertising on Jake’s Rolex World Magazine offers you a superb advertising investment and is a very effective way to showcase your product, service or event. 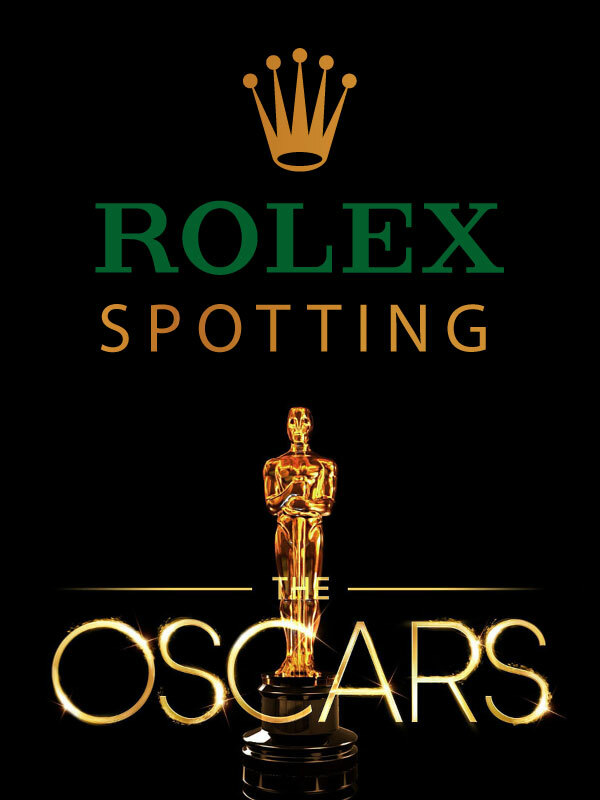 Where Rolex History Comes To Life!!! 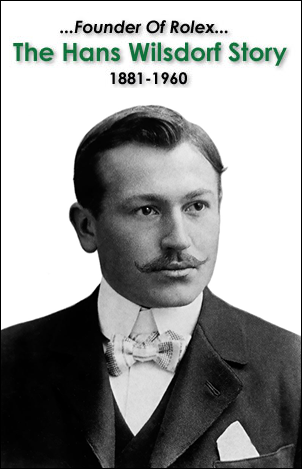 Editor and publisher of Jake’s Rolex World Magazine, Jake Ehrlich has been referred to as “The Fox Mulder of Rolex,” (think X-Files) because he has unearthed so many significant Rolex history stories, and Jake goes far beyond Rolex history by telling the amazing stories behind the stories in an effective way that engages, educates and entertains readers. This fun and fascinating approach is referred to as edutainment. Jake’s Rolex World Magazine generates a tremendous amount of original and intriguing content which cannot be found anywhere else–like exclusive photos of President Dwight Eisenhower’s Rolex Datejust and podcast interviews with NASA Astronauts and other major historical figures. The target market for Jake’s Rolex World Magazine consists of anybody interested in Rolex watches and Rolex history as well as the wealthy lifestyle that goes with Rolex. Jake Ehrlich is a designer and has a background in fashion design so there is also an emphasis on timeless design, rich culture, elegant fashion, and superb aesthetics. At Jake’s Rolex World Magazine we believe photo-rich, personal stories are the absolute best way to connect with your audience, thus we specialize in telling detailed, insightful, colorful stories which give the reader a real sense of your brand ethos while adding objective 3rd-party credibility. We write in-depth articles that educate, entertain and inspire your potential customers to invest intelligently in your product or service. Since Jake’s Rolex World Magazine has achieved such high SEO (Search Engine Optimization) all the strategically written keywords in your advertorial are guaranteed to get you many additional readers to showcase your product or service. $8500* Per Article for articles that contain more than 6 images and/or 1000 words. $4500* Per Article for articles that contain less than 6 images and/or 1000 words. • Travel and lodging expenses are charged on a per diem basis. These prices include an optional, complimentary “Click here for detailed review” button that always appears underneath your banner ad located at the top of Jake’s Rolex World Magazine on the top right sidebar. This button takes readers directly to your advertorial. The tremendous advantage to taking this approach is your advertorial is always easy to find and remains persistent and highly visible on the top of the right sidebar for an entire year. *Our Premiere Pricing option is reserved for Premier Advertisers Only. 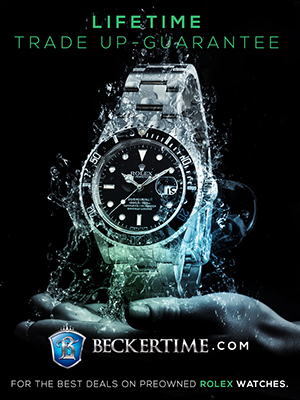 In other words, if you wish for us to write a detailed advertorial for the price of $8500 or $4500, you must be a Premier Advertiser on Jake’s Rolex World Magazine, which requires you invest in a 300x400 banner ad as seen below. 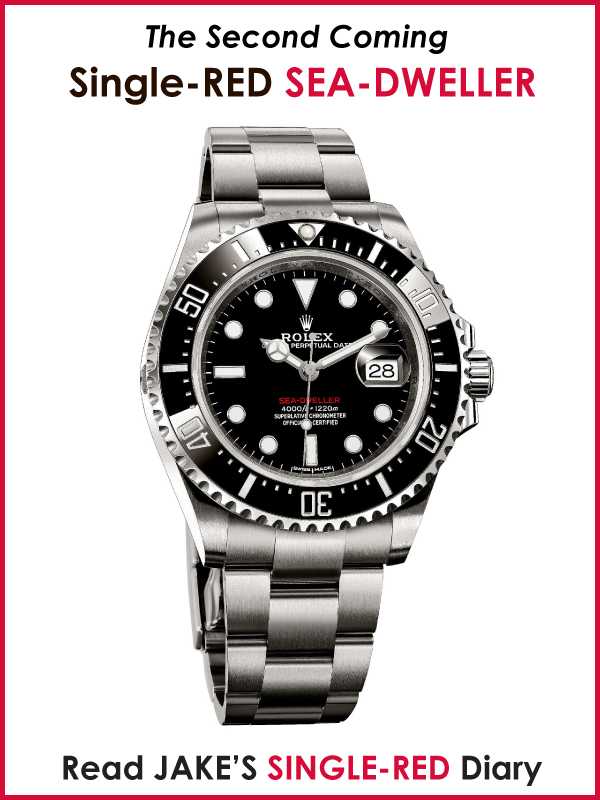 The 300 pixel-wide, right side-bar banner ads are persistent and appear on every single page of Jake’s Rolex World Magazine (as you can see on the right side of the page). When your banner ad is published it begins at the top of the banner-ad section, and slowly works its way down the banner-ad section until it reaches the bottom of the ad section after a year. Upon renewal of payment for the next year, your ad and advertorial button automatically moves back up to the top of the ad section. This cycling ensures your persistent ad is always easy to find. You are welcome to provide your own banner ad artwork. We also offer expert graphic services for a flat fee of $1000 to design and build a custom banner ad that will look great and be very effective. *If you provide your own artwork, it MUST be in excellent taste, and is subject to approval before publishing. Banner ads may not contain any pricing information or words like "Sale", or phrases like "Get The Best Deals At Up To 50% off." 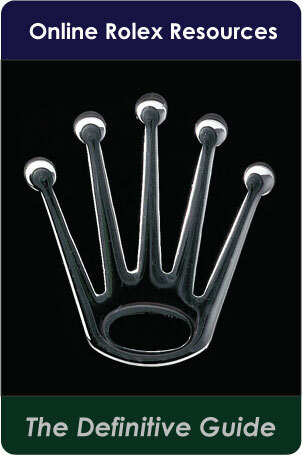 Jake’s Rolex World Magazine offers video review production services to best showcase your product, service or event. Video is an extremely compelling and effective way to communicate a products merit. We only shoot video with the most state-of-the-art Canon 4K SONY video cameras with the best lenses. We charge $1000 per minute of production video. So for instance, if we do a video review of a car or bike which is 10 minutes in duration, the cost is $10,000. The cost of $1000 per minute includes professional script-writing, filming, lighting, sound and editing in Apple’s Final Cut Pro. This end-to-end price also includes typical video hosting. We offer world-class graphic-art design services for completing your banner ads and magazine style ads. We charge $125 per hour for all graphic art services. Scott Carpenter (Mercury Astronaut & U.S. Navy SEA-LAB Aquanaut +The Right Stuff). Dr. Leroy Chaio (Commander of International Space Station for Expedition X and 4 time NASA Space Shuttle Astronaut). 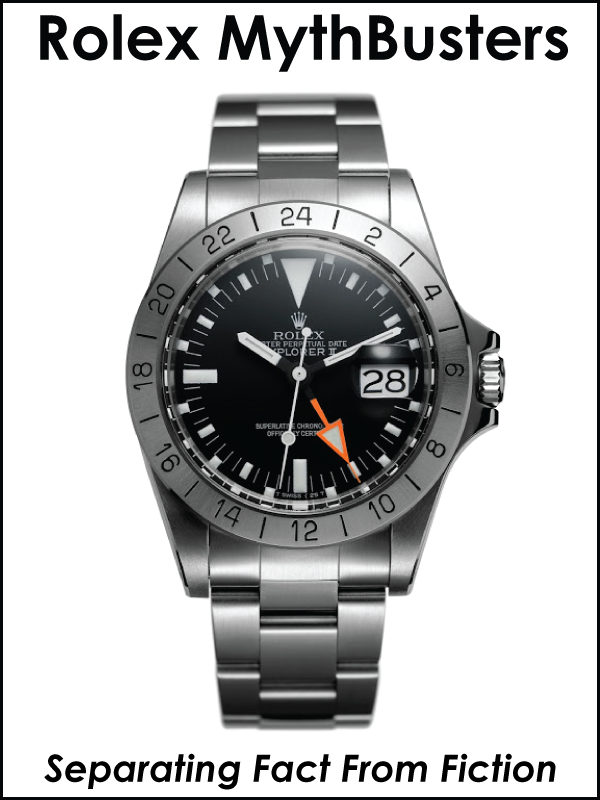 T. Walker Lloyd (Renowned Deep Sea diver & Rolex Oceanographic Consultant who went on to become an executive at Rolex for 25 years). Raleigh DeGeer Amxy (Former FBI employee, U.S. Presidential Historian and owner of President Dwight D. Eisenhower’s Rolex). John Goldberger (Leading Rolex Historical Authority and Author of 100 Superlative Rolex Watches). 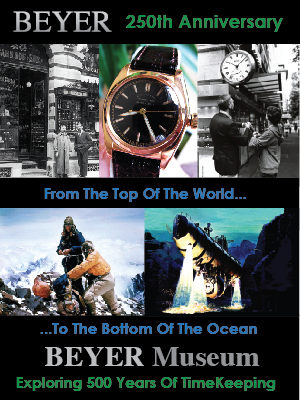 Jeff Hess (Leading Rolex Historical Authority and co-author of Rolex Wristwatches–The Best Of Time). Captain Don Walsh (Pilot of the U.S. Navy Bathyscaphe Trieste which set the all-time submersible diving record in 1960 of 7 Miles Down). $1200 Per Year. Up to a 1-minute infomercial by Jake Ehrlich placed in 1 podcast. Jake’s Rolex World Magazine podcasts are loved by listeners who tend to listen to them more than once. We offer a professional Custom Podcast Interview service for $3500 which includes research, recording, production, editing, and hosting. This service is only available to Premiere advertisers who purchase a 300 x 400-pixel banner ad and advertorial. Having Jake Ehrlich of Jake’s Rolex World Magazine interview you, or somebody from your organization is a superb way to engage and build rapport and trust with your audience. Your professionally recorded and edited podcast interview will appear in your advertorial on Jake’s Rolex World Magazine and will also appear in Apple’s iTunes Music store where anybody can download or listen to it for free. * All prices as of September 2018. Prices subject to change.